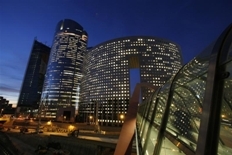 The French bank is acquiring energy and metals trading positions from Jefferies. Higher capital charges and deleveraging have seen peers, apart from Citi and Goldman, shrink their activity. But clients still need to hedge exposures – and business may slowly be ticking up. Societe Generale on April 9 agreed to take on clients and their trading positions from Jefferies Bache, a commodities and futures brokerage that the U.S. bank parent has been trying to sell for several months. No financial details were disclosed. The U.S. bank added that exiting the business should be “accretive” to its future earnings. It bought the brokerage in 2011 for $430 million from Prudential Financial.